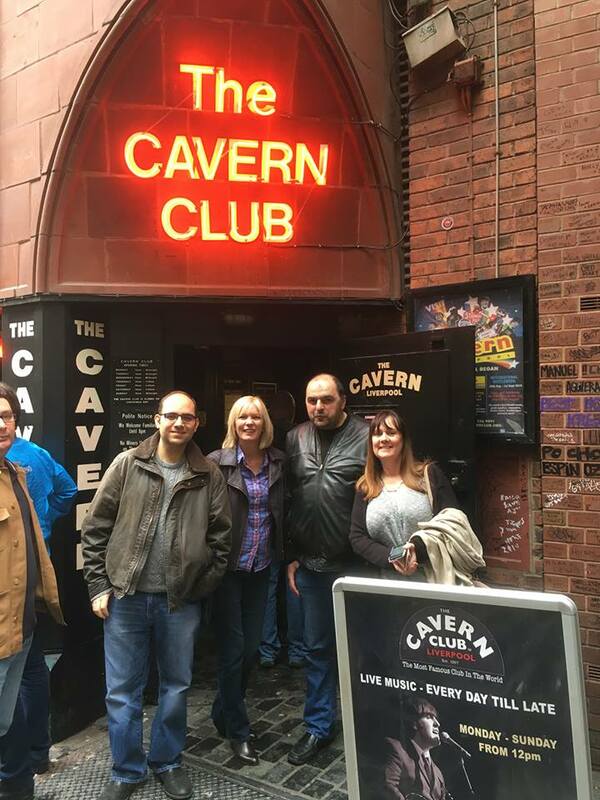 Hi There – so a few weeks ago a coach load of people went up to Liverpool Cavern Club, to see a Beatles tribute band. Yes it was a fun day, though long day didn’t get back until midnight. And here’s a picture of a few of us outside, thanks to Mark for the pics. Though this isn’t the actual Cavern from the 1960s – it’s actually next door to the real Cavern Club which the Beatles, and The MerseyBeats, Gerry and The PaceMakers – all those bands would have played at. Because sadly the original Cavern was shut down, for safety reasons – a leaking roof I believe – though at least the Cavern keeps going on and on. And this got me thinking about a story I heard from around September last year about the state of Live Music in the UK – especially midsize venues – where just in London alone, over the last 10 years or so – around 40% of venues have actually shut down – and this is a huge problem across the whole country. There is a danger that if this continues – then there will be no midsize venues for up and coming bands to play – it will either be pubs or Arenas – which means as the older established artists pass onto the great gig in the sky – this is going to cause a huge problem to what right now is a $1.6 Billion industry for live entertainment in the UK. Now this got me thinking… slightly differently. Now Imagine (and warning this is going to be a stretch… but hang on in) what if… The London Shard became a Live Music venue – not all 72 floors of this architectural marvel … but let’s say (just for fun) the top 20 floors were used for Live Music Making, and other Arts… and they sorted out the sound proofing, put in the stages, everything else they needed to put on a wide variety of Live music; music that is currently being lost at an alarming rate… remember 40% of London live venues have shut. Even the legendary 100 Club in oxford street was/ could still be at risk. 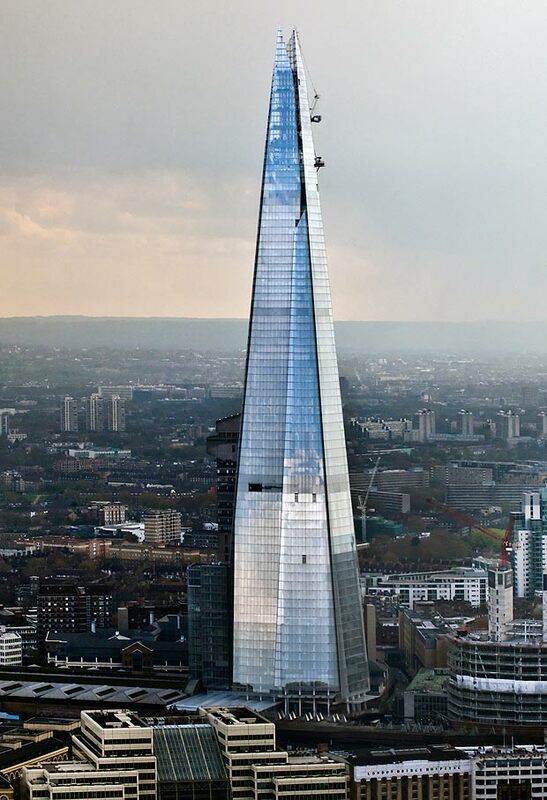 The London Shard is an architectural marvel – with 72 floors going up which looks something like this.. So how are the floors split out in my analogy- well…. The top 20 floors, a first set of 10, and a second set of 10, are devoted to Music and Art of different kinds – seems kind of fair – after all 40% of london venues have shut in the last 10 years ? The final set of 12 floors (because it’s 72 floors in total NOT 70) – that’s for restuarants and bars. Yes – I know my idea is more than a bit unusual, and the owners of the Shard Complex, who are Sellar Property Group alongside the state of Qatar will not go with my idea… but hang on in, okay -Great! it’s night time, and all the lights are on … all 72 floors. If the top ten floors suddenly went dark… As You look up would you notice The Music floors all gone dark?… I’m going to say You won’t after all its 307 m or 310 metres to the top. So You or I, or anybody else wouldn’t notice – unless You have a telescope. And what if the lights went out on the next 10 floors …The Arts floors… again I’m going to say You still wouldn’t notice standing at the bottom, on the ground looking up – as far as You could see all would be good with the Shard. Now what about if the THIRD set of 10 lights went out ? I’m going to say You and I we would definitely both notice, if You and I are standing at the base. And as the fourth set of 10 lights went out, and the fifth set of 10 , and the sixth set of ten and the final, seventh set of 12 (not 10 – remember The Shard is 72 floors in total, not 70 if You happen to be doing the maths). Right Now – Alzheimers can only really be detected at Level 3 – when missing out words becomes very noticeable. The spoken word arts category in my analogy. It cannot be noticed at levels 1 or levels 2 as far as I am aware. So the Question becomes, Is it Possible – that Alzheimers could be detected at levels 1 or 2 – and if so – that the detection would be by some means of Music/ Art Testing capability? After all Art is the highest form of Human Expression – higher than words, higher than science, higher than sport. If You agree with that, and if You’re not sure If You want read my post before this one. Because if that is the case, then it follows that it is possible that there could be some test for Alzheimers developed based around Music, or some other Art (though I believe Music) capability; that gets the detection early enough. I believe the Answer is Yes – But here’s the challenge – sadly right now we do not value Music as much as we used to, which is one of the reasons less people go out to see live music – which is why 40% of London Music venues have shut down. We have the phrase elevated to an Art form – which is why in my analogy the London shard top 20 floors are dedicated to Music and Art, and yet culturally, socially and even educationally we don’t believe that. And yet using my London Shard analogy – You can see that it MIGHT be possible to provide early detection of what is ultimately a heartbreaking disease, which sadly leads to death – at the later stages – the Alzheimers’ Sufferer loses their ability to swallow – which is why in my Shard analogy the bottom 12 floors, the final lights to go out, if you will correspond to restaurants and bars. Is It Possible that Music and/or Another Art capability, though I believe it would be Music provides early detection. Is it Possible that out of the present Alzheimers worldwide challenge, levels set to treble by 2050, and the fact that Meaningfull Music Making seems to be the binding skill, the final capability to disappear – that this could get people thinking differently about Music, about getting involved in Music Making, even about going out and watching live Music, and not staying in and watching TV or with eyes glued to digital screen devices. I believe the answer is Yes – this would go beyond therapy, and having a groundswell of people thinking about Meaningfull Music Making as a Lifestyle choice that helps You with preventative Wellness – after all Prevention is better than Cure – even if/when early detection becomes possible. In my Mind, I believe this points to Meaningfull Music Making becoming known for the Brain during this 21st Century, what we all know Diet and Exercise is for the Body in the 20th Century. ← Why Music Is Wrong!